Another baby will be wearing a Milo this fall. Yup, that means I cast another one off this weekend. Have I mentioned how much I love these little Milos. I stopped in at the yarn shop yesterday to pick up some yarn for Milo number five, hoping to cast it on later tonight or tomorrow. And I have decided there will be a sixth Milo, after knitting them up, I think my little man needs one too. It will be a gift under the Christmas tree for him. On the reading front, the doula reading has been taking up most of my time, but I have read a few chapters of The Small Scale Poultry Flock, which I started last week. I am also reading Christopherus Homeschool Resources – Kindergarten with Your Three to Six Year Old. So far I like it, no big lesson plans, just some simple ideas for solidifying the rhythms in the home and offering suggestions for what a Waldorf kindergarten might look like at home. I am so impressed with the number of vests you knit. My best friend just had a new baby, and I'm thinking I might need to cast on one of these! You should, it is a lovely knit and any mama would love it! I don't know a soul who is have a wee one, but seeing all your lovely Milo vests makes me want to knit one too! Another lovely Milo! 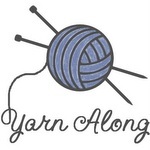 What kind of yarn have you been using? Thank you. The first two were merinos, the second were merino blends. I am going back to the merino for the next two. Wow! You knock those vests out! I know that the Mama's love them! I love all your milos :) The Waldorf book sounds like a great resource. Thanks Kate. It is a great little resource, just the right amount of information without going overboard, we are after all talking about four year olds. Your knitting is so clean and the stitches so even. Great job! Your giving heart is so sweet! I admire your sixth one in the queue!!! Lovely vest and there is something very therapeutic knitting the same pattern over and over with different fibers or colors!! Awe, thank you. I am excited to knit one for Reece, it will take a little longer with the bigger size, but that is okay. I agree, knitting the same pattern in very therapeutic, although after number six I am looking forward to something else. Thanks for sharing about the homeschooling resources. I've felt very drawn to Christopherus. I would like to check it out. No problem, happy to share. I am sure it will, but it will be so worth it! Love those Milo vests. What lucky little ones to be able to wear such lovingly made handknits! They are really great. I can see my pulling it out again and again for the new babes that come into my life. I really do enjoy it. Good luck finding some time to knit, it is not always easy is it? This is on my have to knit list for the upcoming cold months too...I see them popping up all the time on yarn along. Love yours..very sweet! That is where I found it and had to give it a try. Thanks! Oh my that is soooo cute! Good job! By the way, I am reading your book! I am almost done and I HEART it! I want to set up a Skype consultation to ask you a few questions about it so I can write a blog about it! Awe, thanks Dawn. And yes would love to chat. It might have to be by phone though, I live in the country and can never seem to get a good connection with Skype :( Let me know when you want to chat. My baby needs a Milo!